Do you remember when people used to repair their clothes and shoes rather than just sending them on their journey to the landfill or incinerator? Probably if you were born in the 60s or before you can. So when did we stop repairing clothes an shoes? Why did we stop? One time when the need for repairing clothes was during the war. Rationing of clothes in the UK was announced on 1st June 1941. This was necessary as the clothing factories were taken over for the war effort which required uniforms and silk (for parachutes, maps and gunpowder bags). There was also a shortage of raw materials. 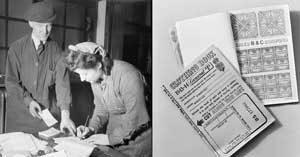 Each person could spend 66 ration tokens per year where a coat required 16 coupons, a jacket 13, trousers 8, a shirt 5, shoes 7 and underwear 8. In 1945, the coupons allocated was reduced to 24. Parents were asked to buy larger sizes so items would last longer. As many people found they were unable to afford new clothing, the ability to repair and renovate clothing became increasingly important. 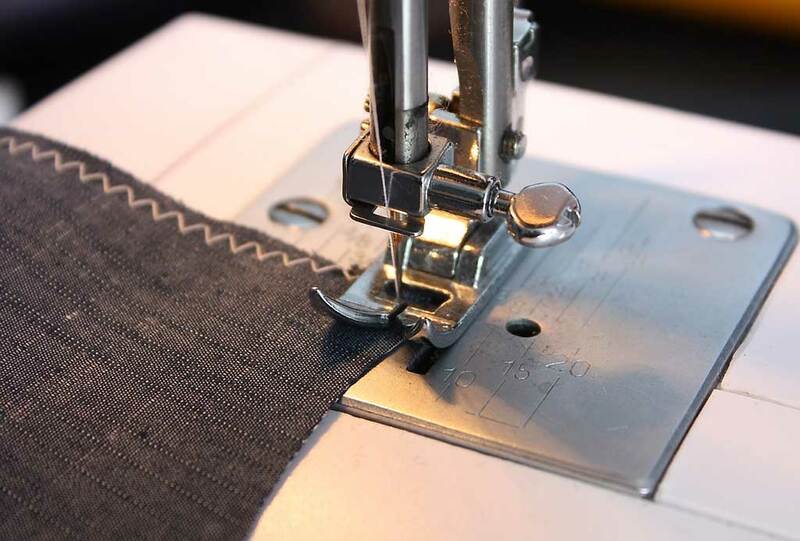 The “Make-do and Mend campaign” helped teach people how to cut, sew and reuse materials. Clothes care was a key part of three message. Repairing and renovating clothes was even more important in earlier days, before ready-made clothing was available. Most people made their own clothing from fabric. Owning only a few garments, they had to look after them.Holes and tears were repaired. Sizes were adjusted as needed. Hems etc. were used to allow children’s clothes to be lengthened as required. When ready-made clothing became available, it tended to be of higher quality and more expensive compared to the clothing produced today. It was the shift to what is known as the mass-produced “fast fashion” that has changed people’s relationship to clothing. Clothes has become so cheap and easy to get hold of that consumers now tend to see their clothes as “disposable” and are much less likely to attempt repairs. The quality of the textiles themselves is often poorer which in itself reduces the lifespan of the clothes. Aside from this, in our throw-away society, the low cost of clothing has resulted in people replacing clothes, at an astonishing rate, even when the clothes are in very good condition. financial cost involved. With clothes now so cheap, the cost of repair for many people means it makes no sense to repair them. lack of time – we are all so busy these days! lack of skills. Less and less people have the ability to repair clothes. The skill was passed from generation to generation – this is now much less the case. a stigma about wearing repaired clothes. Wearing worn or damaged clothing was traditionally associated with poverty. similarly, there can be a negative attitude to repairing clothes with its association with times of hardship and wartime necessity, childhood chores and in some cases, domestic drudgery. with the very low cost and quality, people have less of an emotional attachment to the clothes they own. So isn’t todays situation much better for everyone? Why would we want to pay more for our clothes and then maybe have to spend time and effort to get them repaired. Why would we want to have to wear the same gear for years when we can easily just throw it away and get replacements? Surely this is progress? As will be discussed in other posts, this narrow-minded view-point ignores the true cost of these cheap clothes in terms of the quality of life of the people producing the textiles and making the clothes as well as ignoring the impact to the environment when the clothes reach their destination in landfill. Our clothes are not low-cost. The cost is actually extremely high – perhaps best described in the documentary – The True Cost.